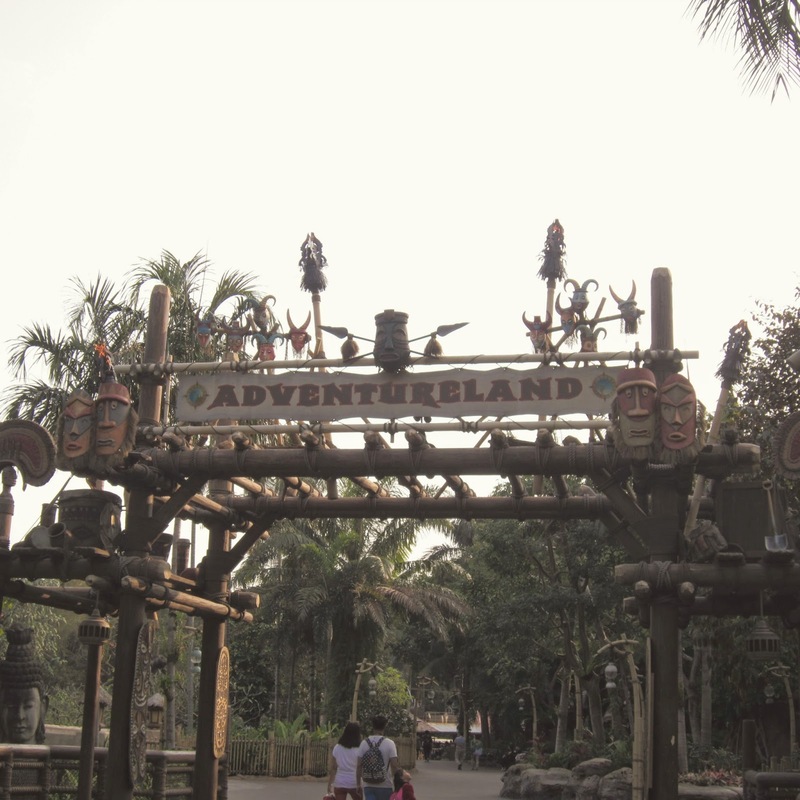 Hong Kong Disneyland’s Adventureland is a strange tropical beast. Entry through the main gateway off the central hub, the land was originally the entire left side of the Park, and bordering Fantasyland at its top. Now it is also surrounded by Grizzly Gulch, Mystic Point and Toy Story Land all behind it. 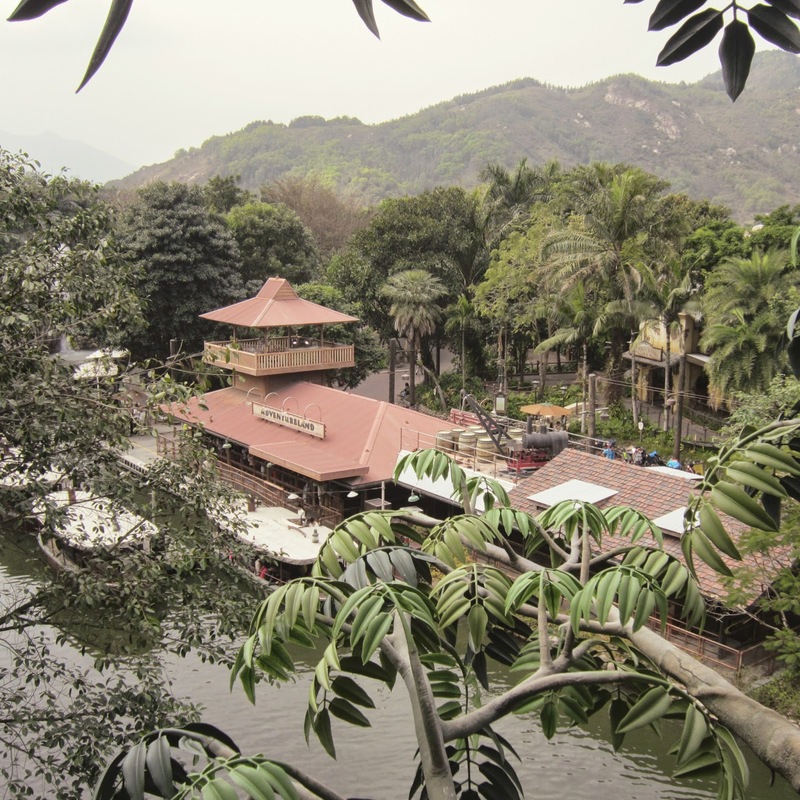 The Jungle River Cruise is the largest body of water in Hong Kong Disneyland (there are no Riverboats cruising Rivers of America here! 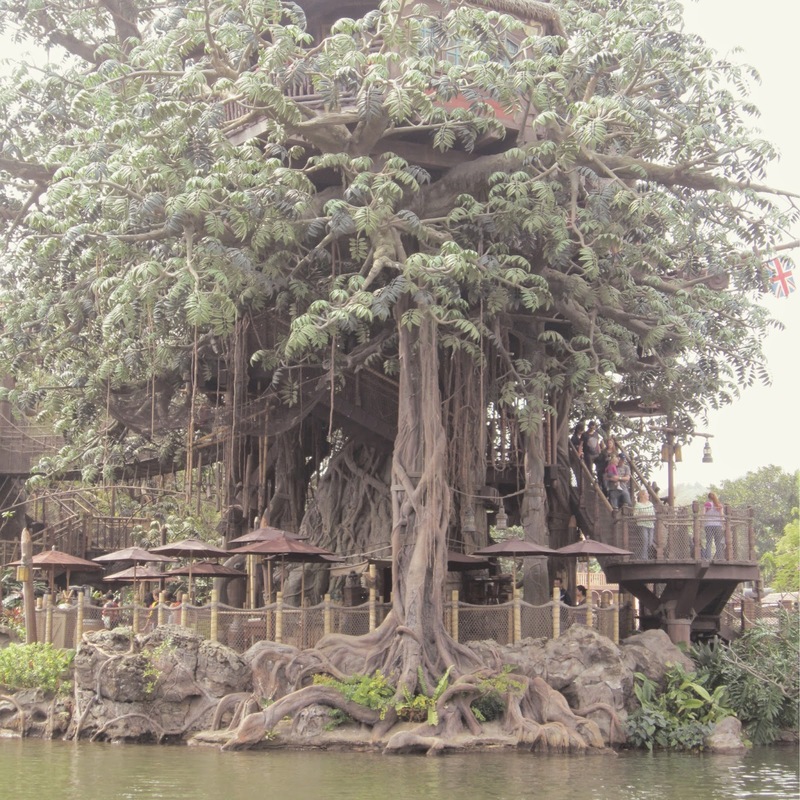 ), and surrounds an island on which Tarzan’s Treehouse towers above, affording spectacular views across the from its heights across the Park, from Big Grizzly Mountain to Space Mountain (yes I’m ignoring you ugly Toy Soldier Parachute Drop). Other than the tour boats of the Jungle River Cruise, the rafts that take you across to Tarzan’s Treehouse Island also ply the murky waters. It is definitely one of the most detailed of the Lands throughout the Park. Countless hidden treasures wait to be discovered, some obvious, others not so much. An unrivaled atmosphere of Adventure and tropical imagination is conjured from the sounds, the music, the true tropical wildlife and charming details. 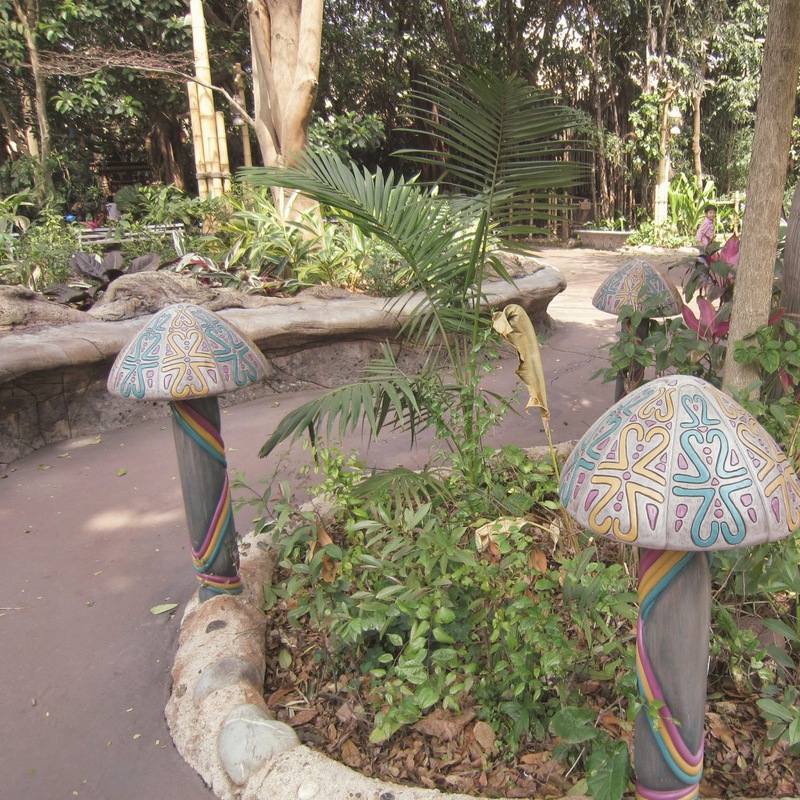 The Liki Tikis are found near between the River View Café, and the banks of the jungle river, not far from the Jungle River Cruise docks. 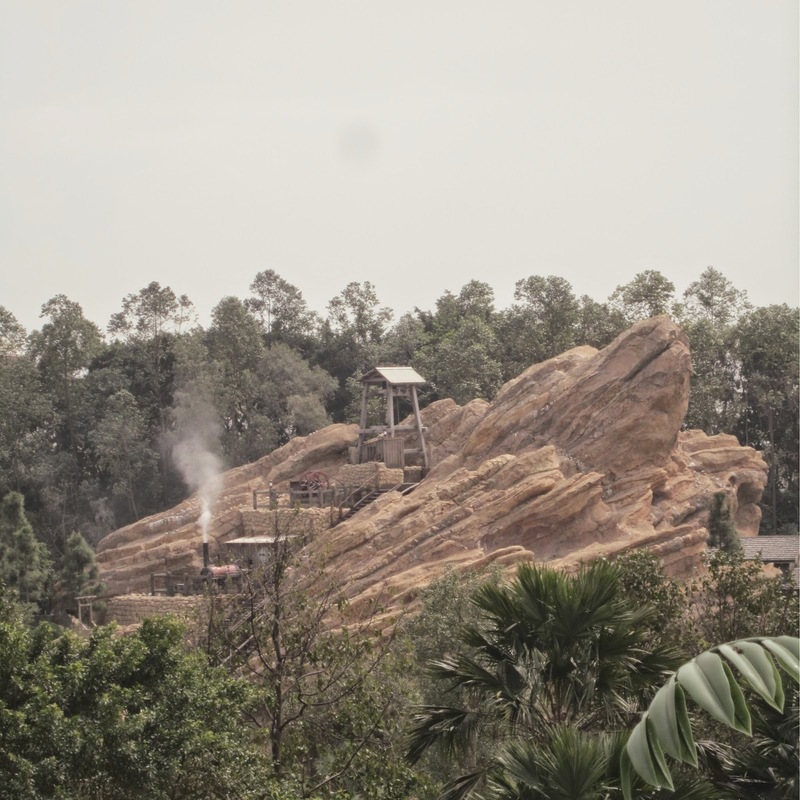 In fact, the spectacular finale of the Jungle River Cruise is right behind the jagged rocks across the way, and when the anger of the Water and Fire gods erupts, the steam and sounds can be a noisy surprise! The guide map states, “Sway to the beat of jungle rhythms pounded out by these ‘leaky’ tiki poles”. 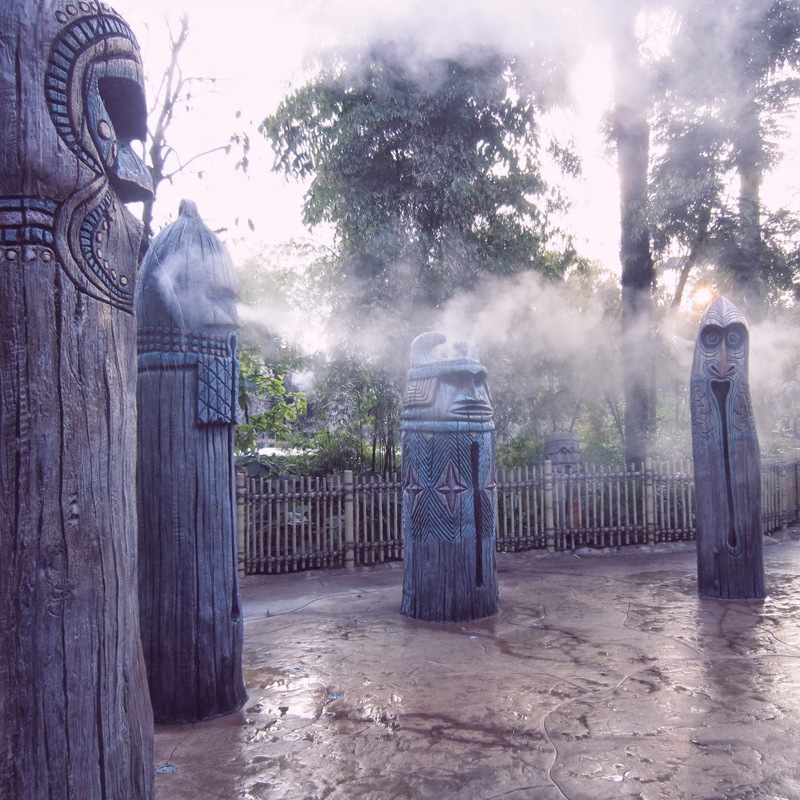 And as the drum beats draw you in to meet these handsomely carved totems, the steam and jets of water will catch you, wet you, and I’m sure in the steamy hot Hong Kong months, also refresh you. And how cute are these rainbow mushroom wood lamps too! Thanks again for sharing Q! We can't wait for the next installment, and I'm sure Disney Hipster Blog fans will be looking forward to it! 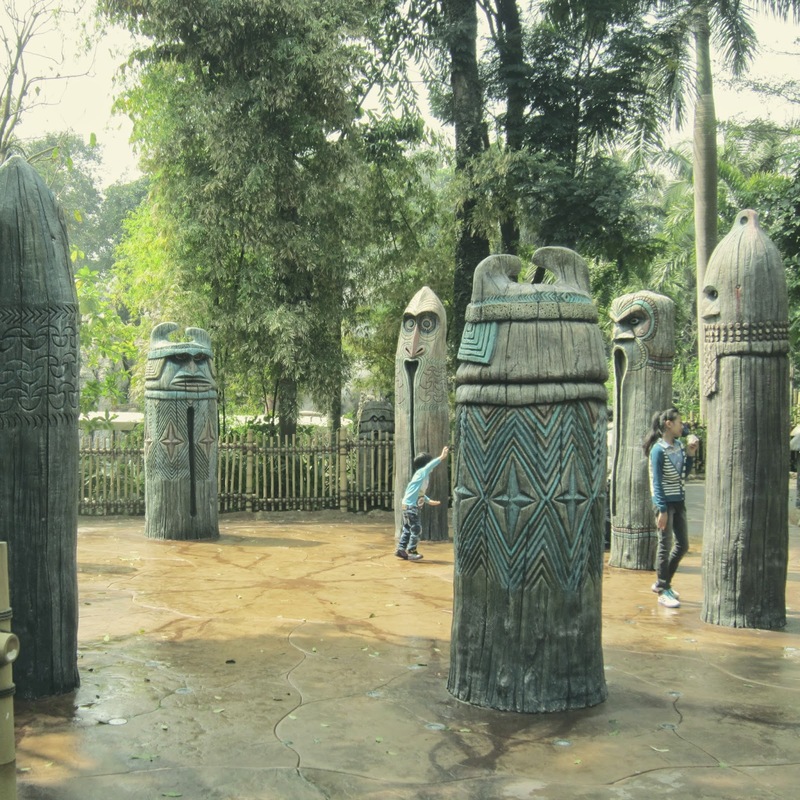 I love how the tikis are in a circle in Hong Kong, as opposed to our semi-circled version...very cool indeed.